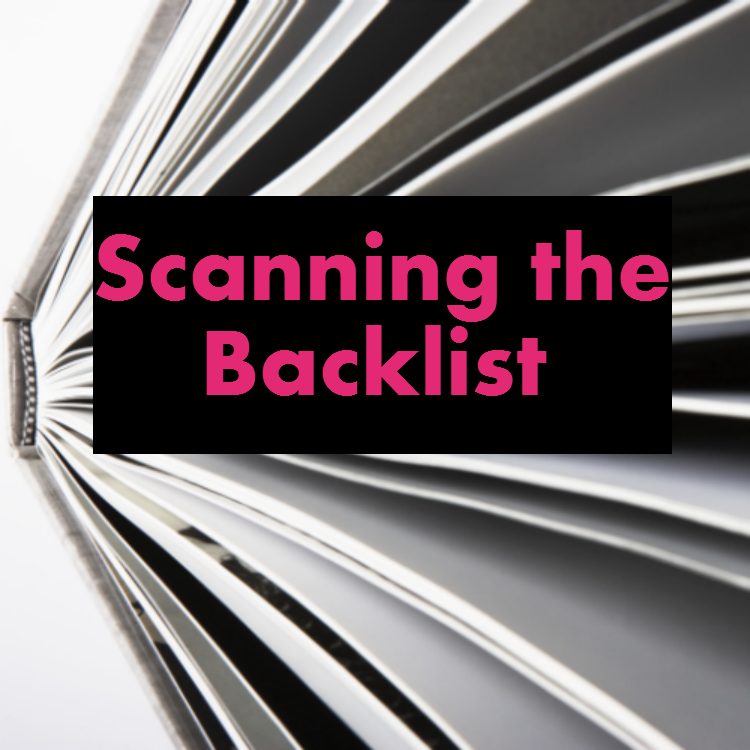 I've really enjoyed seeing more and more bloggers embracing the exploration of backlist titles - so much so that I was inspired to examine my own personal backlist consisting of authors I've reviewed on the blog. 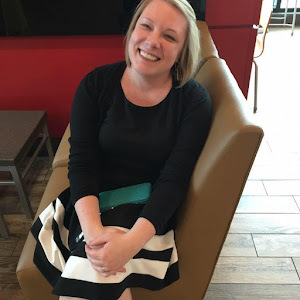 I went back through every author I've reviewed and checked out his or her backlist - and for some, even found new books I hadn't realized were released. I'm thinking I'll make this a regular feature, since it's going to take me a while to profile all the great books I've found - and as I keep reading, I'll find even more. 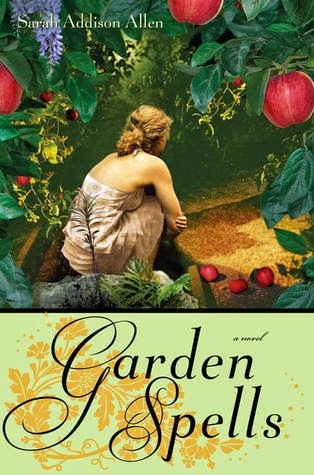 I absolutely loved The Peach Keeper and The Girl Who Chased the Moon - looking up her backlist titles led me to a great discovery: Garden Spells, Allen's first book. One last thing to note: since my reading of The Peach Keeper, Allen has released another novel, Lost Lake, which is on my TBR list. Donoghue's Room was one of the very first books I received from a publisher to review. And it more than exceeded my hopes - it's still one of my favorite books. 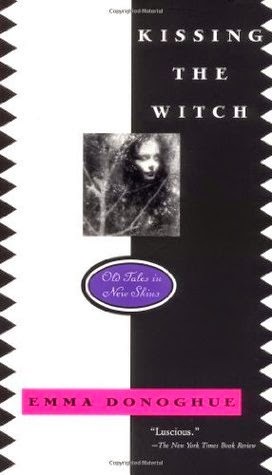 I was excited to discover that, in addition to Astray, her short story collection that I already own, she has a book of fairy tale retellings titled Kissing the Witch. Told with luminous voices that shimmer with sensuality and truth, these age-old characters shed their antiquated cloaks to travel a seductive new landscape, radiantly transformed. Cinderella forsakes the handsome prince and runs off with the fairy godmother; Beauty discovers the Beast behind the mask is not so very different from the face she sees in the mirror; Snow White is awakened from slumber by the bittersweet fruit of an unnamed desire. The Sacred Meal is one of the first five books I ever reviewed on this blog, and was the very first book I ever received from a publisher. 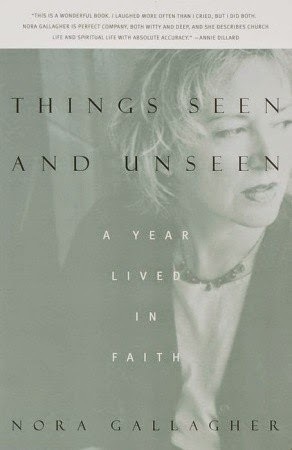 I was pleased to see that Gallagher has a memoir, Things Seen and Unseen, that explores a year in church liturgy and describes her journey to faith. Whether writing about her brother's battle against cancer, talking to homeless men about the World Series, or questioning the afterlife ("One world at a time"), Gallagher draws us into a world of journeys and mysteries, yet grounded in a gritty reality. She braids together the symbols of the Christian calendar, the events of a year in one church, and her own spiritual journey, each strand combed out with harrowing intimacy. Thought provoking and profoundly perceptive, Things Seen and Unseen is a remarkable demonstration that "the road to the sacred is paved with the ordinary." This is an AWESOME feature idea. I may have to copy you and do this at some point (with credit to you for the idea of course!). :) Because I've stepped way back from ARCs lately, I've been having a grand ol' time exploring backlist titles that I ignored for a long time.